It's Halloween season, dear readers, as one day isn't enough for enthusiasts of dressing up, bugging their neighbours and eating enough sweets / candy / chocolate to be physically ill. An interesting fact around the origins of Halloween is that... never mind, you just dress up and eat a lot. It's also about scares, too, let's not forget, or at least revelling in an atmosphere of monsters, ghouls and ghosts. As a result some — particularly those too old for trick-or-treating without being frowned upon — may seek to play games on this darkest, spookiest night, so we thought we'd list ten games to play, a bit like last year. By telling you a few nights ahead of actual Halloween we hope you'll be able to jump into quite a few to truly get into the spirit. So, below are titles available between Wii U and 3DS, including a handful available on both thanks to their respective Virtual Console offerings. We've endeavoured to come up with a fresh list, though a few entries from last year do reanimate to haunt us again. Including Virtual Console games also allows us to endlessly plug a certain Konami franchise, because we want to. We're also not saying this is an 'ultimate' or 'best' list, so try not to rage like a werewolf when reading the entries. So below, in no particular order, are some Halloween suggestions for 2014. This was the first game to pop into our heads, so it emerges again after its appearance last year. It's unlikely to scare you, but rather charm you silly, as Luigi creeps through multiple mansions while being as comical and frightened as ever. Critically acclaimed and having sold a lot of copies, this represents another coming of age for developer Next Level Games; what are they working on next, though? It's not often we get to refer to a NES game that was a sequel but actually a prequel to a Game Boy title, but that's an accurate if drawn-out description for this game. Released in Europe on the Virtual Console and coming to Wii U and 3DS in North America this week, you play as demon Firebrand. With a mix of top-down overworld play and conventional 2D action platforming, and the fact you're Firebrand, makes this is a winner in our eyes. Woah, some may (perhaps) be saying, you can't list an unreleased game. Well, actually, we can, as it's our list. We're merely hopeful that this title will live up to and perhaps improve on its thoroughly charming predecessor, and if it does then this will be a tempting new proposition on Wii U this Halloween. You play as children dressed up as trick-or-treaters, and it's got plenty of RPG elements; here's hoping it's as enjoyable as it is cute. We're cheaters, and we know it, as this entry means we have 11 games in the list. As the port of the first game comes free with the Wii U exclusive in North America, and is available at a discount in Europe, we feel it's worth pointing out that it's recommended to enjoy both titles. Each has bombastic set pieces and flowing, exciting combat, while playing them in order does help with learning about the characters and lore. You play as a witch, too, which is appropriate for this time of year. Some of you in North America can scroll down to see a recommended classic currently available on the Wii U Virtual Console in the region, but as the GBA trilogy is absent in Europe we're including a favourite entry from the DS trilogy — thank you, 3DS backward compatibility! 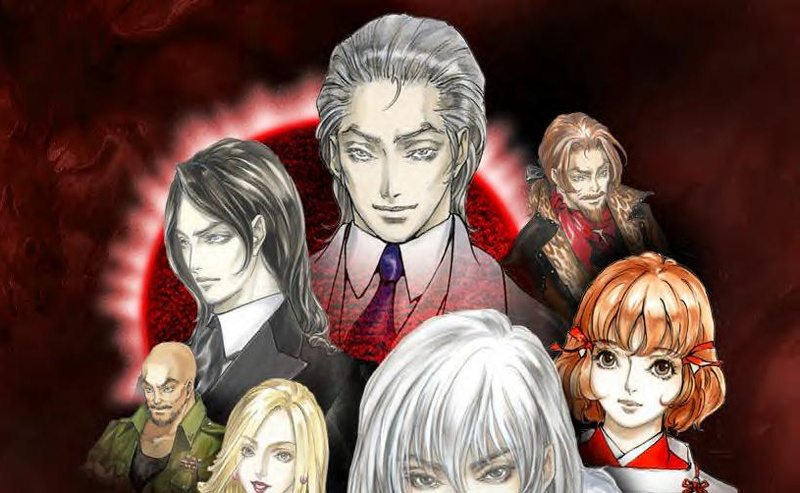 Konami found a rich vein of form in its DS trilogy, and in truth any of them will do the trick. This was a no-brainer, which also happens to be the fate of your character the many times that you'll likely die in this Wii U launch title. Though it has its flaws, it also makes creative use of the GamePad and, for our money, is very effective at creeping us out; a zombie may creep up on you as you adjust your inventory in real time, and occasionally only a cricket bat can save you from the hordes. Definitely dark room and headphones material. Though we've linked to the latest Wii U version, we'd argue that the 3DS version could also be the way to go; designed with the handheld in mind, the 3D and tight environments suit it nicely, especially with a Circle Pad Pro handy. It's rather nice on Wii U too, and is the over-dramatic silly counterpoint to the grisly ZombiU on Wii U, and in our view proves that all is not lost in the Resident Evil franchise. We're still extremely irritated that the sequel is skipping Nintendo hardware, however. One for North American Wii U owners, or those with a GBA / original DS, this is the concluding entry in that portable's franchise. 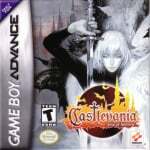 Like with the DS games this run excelled in producing enjoyable Castlevania experiences on the smallest screens, and Aria of Sorrow learnt from its predecessors to arguably be the best of that particular trilogy. We're being a little mischievous here, as we know some will see this entry and reach for the Caps Lock button. The subject of Altered Beast can divide the Nintendo Life team and cause fierce arguments, as some (including this writer) correctly say its rubbish, while others regard it with a peculiar reverence. It's horrifying, but perhaps not in the right way. That's our batch for this year, though we'll have more Halloween festivities in the next few days. Let us know what you think of this line-up in the poll and comments below, while we'd love to know what you'll be playing to get in the spooky mood. Gargoyles quest 2 will be on sale this Thursday on the eShop, I will be buying it. 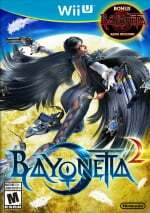 Bayonetta 2 has become my Favorite Action Game of All Time. I'll be playing it on Halloween and well beyond. I'm still involved with Bayonetta 1& 2, but I wouldn't mind playing Resident Evil: Revelations again. It was beyond fantastic and one of my favorite games on the 3DS. Boo on Capcom for skipping Nintendo for the second one. The Metroid series will always be one of my first pics for a 'Scary' game. Bayonetta, of course! But not for creepiness. Also: Shame on you, NLife! Where the hell is Super Metroid or Metroid Fusion?! Both of those are exceptionally eerie at times, and they deserve mention! 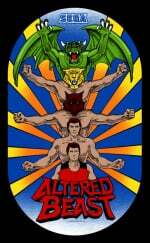 Just throw out Altered Beast and be done with it! I'm just glad Halloween isn't a big thing in Germany. I'd lose my voice from shouting at kids wanting sweets from me after being annoying... yeah, I hate the concept of Halloween. Shame, Fatal Frame V would have been perfect. Aria of Sorrow for this gamer! Also, Alien Isolation will take up some Halloween time. Hey everyone! This has nothing to do with the article, I'm just posting because it's the newest one. Club Nintendo NA has Super Smash Bros. posters up for grabs. They're 700 coins for 3 posters, and looked pretty sweet. Well that settles it, I'm having a Luigi's Mansion Halloween party! Luigi's Mansion Dark Moon. I still have to finish it. Of those choices I'd have to go with ZombiU, but my own preference would be Cursed Mountain or Project Zero 2 on Wii. If my gf have her way, ZombiU since I been wussing out in playing that game ever since I got it at launch almost 2 years ago (I hate Zombies). Bayonetta for my vote,even though I haven't download it yet. ZombiU is a criminally underrated game. I got it for the bargain of $15 and was expecting not to like it all that much, but I played it from start to finish and thoroughly enjoyed myself. Highly recommended. I beat Zombiu so many times, well i love it i'll play it again in the cold cold darkness. I loved Costume Quest (annoying, game-breaking bug and all) and I can't wait to play the sequel. 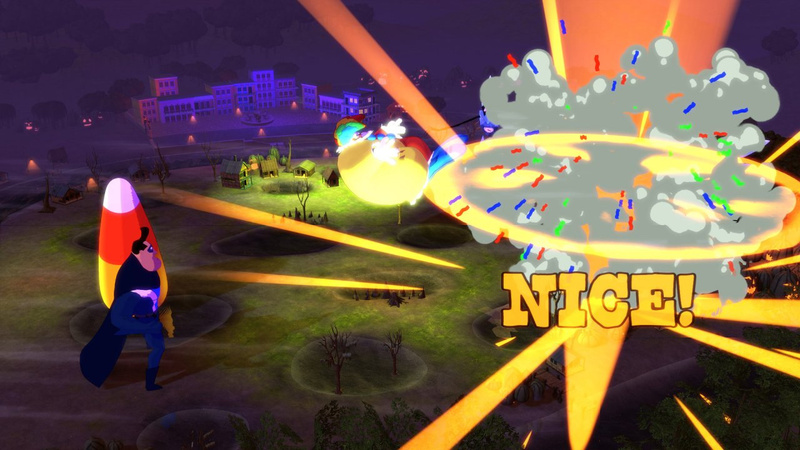 It really is a charming game that takes you back to being a candy gobbling child with a wild imagination. Maybe RE: R and Luigi's Mansion. Or maybe another game. But seriously, why must we wait for a day to come to play a game we could just plop in our systems and play anytime? 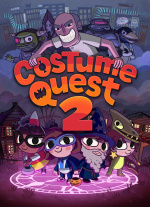 It's gonna be all about Costume Quest 2 for me! Okay, perhaps not ALL about it, since I plan to play Bayonetta 2 at the same time. But CQ2 has me excited beyond normal levels. How about Majora's Mask? It is seriously the most disturbing, creepy game I have ever played. Metroid Fusion might be a good addition to the list as well. You're just like nintendo because you put Wii u first and 3DS last. Super Castlevania IV has most of the classic Universal Monsters. ZombiU is such a terribly underratd game. Hard as nails and one of the most atomspheric games to date. The individuals traits of the survivors are truly excellent and the GamePad integration is almost unparalleled. Costume Quest 2 is about as scary as I can tolerate, although I love Castlevania II: Simon's Quest and have come to appreciate the Metroid series. It is not that the games are scary necessarily, it is my own imagination gears up to overdrive and I just cannot take the tension I create for myself. What about Little Inferno, that's pretty creepy and good for bonfire night.... perhaps a week too early then. Luigis Mansion Dark Moon was great, defiantly my favorite 3ds game. 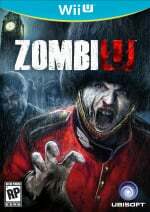 Zombi U is also a good one. Saying that 'The Letter' is on here is a joke but why no Master Reboot? Personally I'm playing Dark Moon for the first right now and I'm loving it. And Castlevania Dawn of Sorrow for the first time and it's banging. 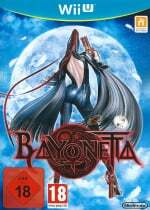 bayonetta 1 and 2 is a guarentee but i might aim for super castlevania 4 if nothing else temps me on eshop. Why doesn't Nintendo hold Halloween sales? There's a Halloween category in the eShop, but there are no discounts. I would have loved to buy Luigi's Mansion on the 3DS. I really like Luigi's Mansion Dark Moon, so maybe I'll go back to it on Friday. A shame we'll probably never see Fatal Frame 5 on next year's list. I would love to play Bayonetta 1&2 this Halloween. It would seem, though, that I'll be playing some ZombiU or watching horror movies...if I'm not out getting free candy, that is. I can't play any as I have a mountain of Uni work to do. Btw, Luigi's Mansion: Dark Moon is also known as Luigi's Mansion 2 everywhere else in the world. You could at least mention that instead of always pandering to the Americans. Zombie U all the way. And dont forget Jack scaring your ANIMAL CROSSING town!! I got tonne of Uni work too, @RainbowGazelle what ya studying? @SUBTERRANEANguy Environmental Science. I'm totally going to save the world. I'll be playing a bit of Payday 2 with a friend of mine. @RainbowGazelle I second this. Uni is taking up my entire free time, aswell. @SUBTERRANEANguy Sounds like the beginning of a fantastic Super Hero Duo! Bayonetta has nothing scary about it. Don't know why it's on the list of Halloween games. Luigi's mansion 2 and Zombi U are the way to go. Silent Hill Shattered Memories, such a great game. Forget everything else on Thursday and pick up Gargoyles Quest II and Demon's Crest. You're welcome. None of those games because they are not scary. Are there any truly frightening games on Wii U and/or 3DS? I suppose I will be playing Outlast on my PC...though I will be downloading Gargoyles Quest II on my 3DS for the fun factor, but it is certainly not on my list of Halloween games. Bayonetta 1 & 2, but mostly 2 probably. Dark Moon all the way. As a side note, Metroid Prime 2 would make a superb Halloween game! Speaking of which, I wish I could even play something this Halloween, but I'm getting buried (no pun intended) by school. I'll probably be finishing Bayo1 or just starting 2. Either way, the Bayonettas get my vote. You wouldn't think that the Bayonetta games are pretty suitable for Halloween. Nothing really scary, but the enemies you face are definitely creepy. ZombiU and Resident Evil Revelations are perfect title for some Halloween playthrough. Also I'm planning to play some Dead Space: Extraction and Silent Hill Shatter Memories on Wii Mode on my Halloween Night week as well. @RainbowGazelle I'm also an environmental science and policy degree holder. Good luck friend, its a tough market to crack into. I just finished replaying Luigi's Mansion: Dark Moon, actually! It even holds a place in my personal Top 5 3DS games. How ironic that I am just about to give my copy of Luigi's Mansion Dark Moon to a nephew...just finished it a few weeks ago, and IMO it is a game that I never wish to play again, neither I wish to play the couple of extra missions that I missed. Don't forget Metroid Other M! The M stands for mortifying! The most recent creepy games that fit into the Halloween theme are be Lone Survivor - The Director's Cut and Master Reboot. Maybe even Stick it to the Man! Strange to see those new treats not on the list, it's mostly old tricks. The most frightened I've ever been playing a video game was in the third level of Thief: The Dark Project, entitled Down in the Bonehoard. For some reason I find the scariest games to lie outside the horror genre. I voted Resident Evil, because I love that game. It was the first 3DS game I bought, besides Monster Hunter. But who am I kidding, really? I'm gonna be playing Bayonetta for the next month, at least. I like in Super Mario World after you beat the special world, all the enemies turn into weird pumpkin looking heads! I've actually been trying to get through Castlevania: Dracula X on my SNES for a few days. Thank god for easy passwords. 3D Altered Beast & my personal pick Ghouls 'n Ghosts(Genesis VC) for this slimy putrid warlock'd dooder! I will easily squeeze these two in for the 29th, 30th and 31th. Still need one more 'short but sweet' title to make it 3! Luigi's Mansion Dark Moon. While on the topic of halloween, the ￠99 black cat theme is actually pretty nice for the 3ds. Look up the music on Youtube, "The Black Cat's Dance"; it sounds so much like (the GCN) Animal Crossing, though I imagine since most of the 3ds music does, it is probably the same composer. Also of note, a few notes from Totaka's song are the theme for the "Health & Safety" application. Luigi's Dark moon is beyond tedious, and simply put one of thee' most overrated experiences on the 3DS. I had to force myself through this chore-like experience. I enjoyed the first mansion, but it gradually went downhill after that. Actually, looking back....I really wish I would have stopped after completing the first Mansion. The Spider boss battle btw was absolutely Moldy & Magnificent hee hee hee heeeeeee. I enjoyed the GCN original a little bit more. the ghost designs were far more interesting and actually had character vs the minimal bland fisher price 'stock' ghosts seen in Dark moon, the vaccum controls were more diverse thanks to the gamecube controllers c-stick and I liked the idea of being stuck in one gigantic mansion, rather than constantly being sucked back through a portal into the professors lab. Still Dark moon looks better, sounds better, the stereoscopic 3D is truly impressive and the mansions were a little more interesting and offered more variety. Yet in the end this is one 3DS title I could easily do without! Unchallenging and repetitive it was. I will probably be playing metroid fusion for the 3rd time, the SA-X still maneges to get my heart beating every time it walks into a room. @Bizzyb Thank you very much. I'll try my best. 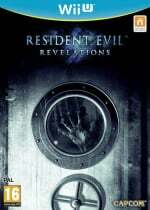 @Vriess Resident Evil Revelations and Mercenaries are on sale for $8.99 and $7.99 respectively. Will I need to have played Costume Quest 1 to understand the sequel? I'm 2.5 hours in to Bayonetta and loving it - though may play some Zombie U on Friday just for the thrills! 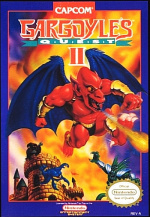 Gargoyle's Quest II over Demon's Crest? Really? Realy!? This Halloween... I'm finally going to finish ZombieU. Only one of those was an actual Nintendo game. I'm currently playing Luigi's Mansion on the Cube & Castlevania IV on the Wii U. Great Halloween fun...with a little Ghosts & Goblins thrown in for good measure! Well for the this month I have finished two Castlevania games. Castlevania Bloodlines on the Genesis and its sequel Portrait of Ruin on the DS. Costume Quest 2, of course, as it's the only game on this list (and one of the few games period) to take place on Holloween! I actually won't be playing the sequel this Holloween, as I'm saving money for other games this holiday season, but I've got the original CQ queued up for replaying tomorrow! On the horror side of Holloween, I got Fatal Frame, which I have yet to play, so that should be exciting! I'll play some Fatal Frame 2 Wii edition. If I had to choose between those in your list, Luigi's DM is the best one, and ZombiU in Survivor mode is a real nightmare!